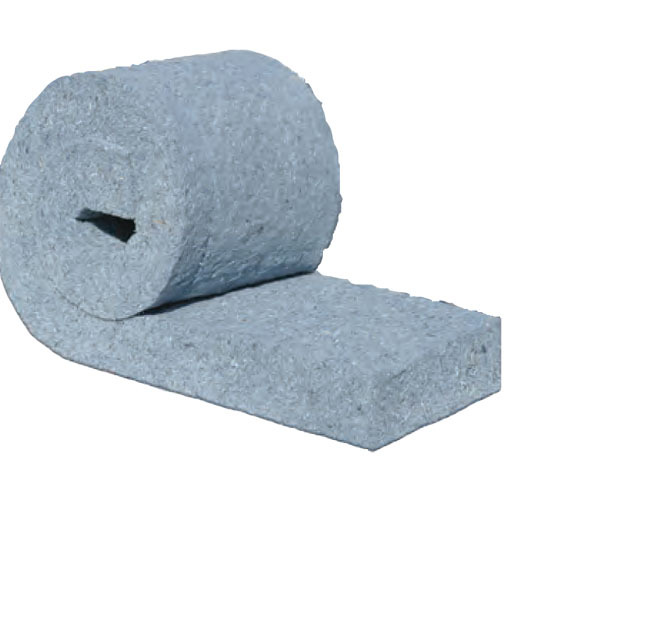 New England Soundproofing soundproofed a basement subject to noise from nightclub and traffic. 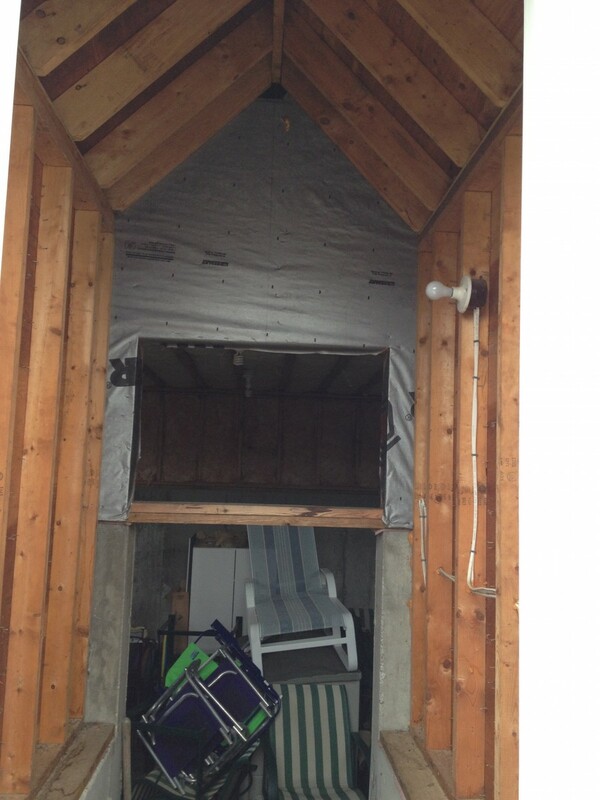 The space had a 12 ft. high wall, 8 ft. of which was concrete. 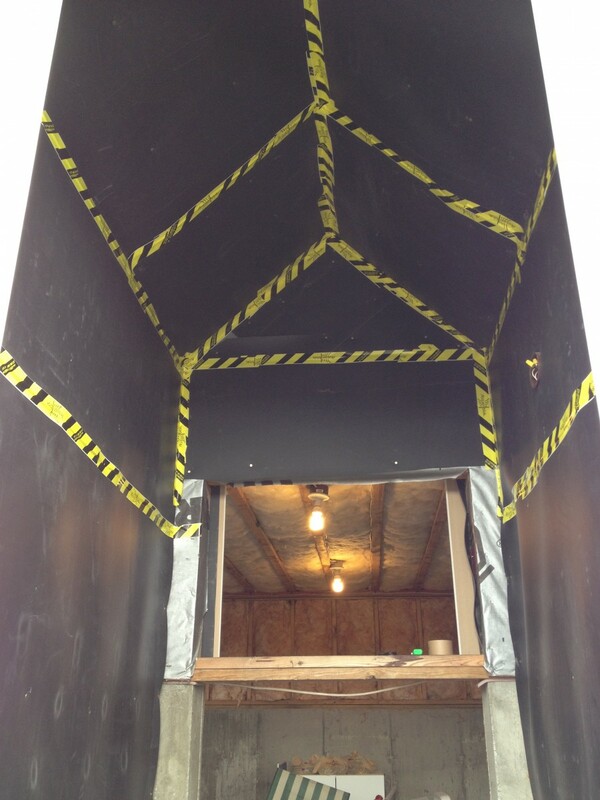 The client wanted the upper 4 ft, wood-framed section to be soundproofed. 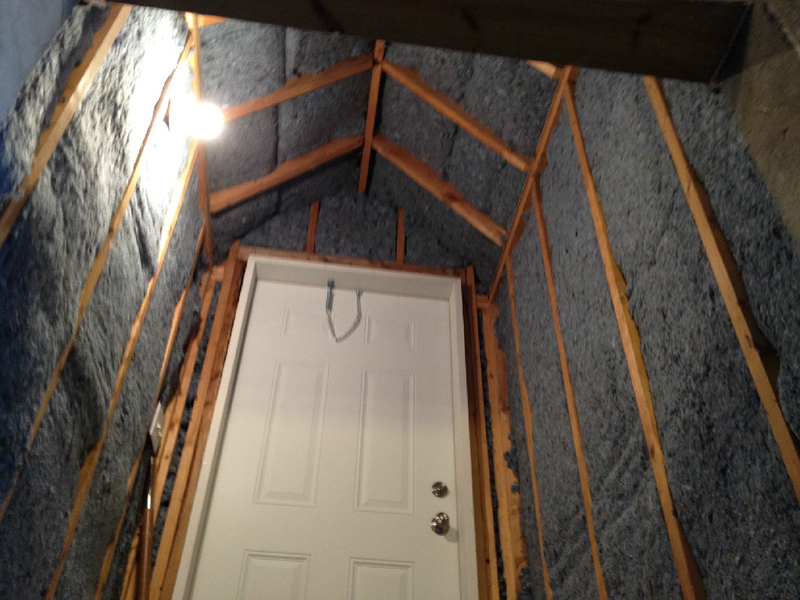 We installed Quiet Insul and cover with our Sound Barrier MD, Tape and Sound Seal, finished with drywall. Silence reigns! 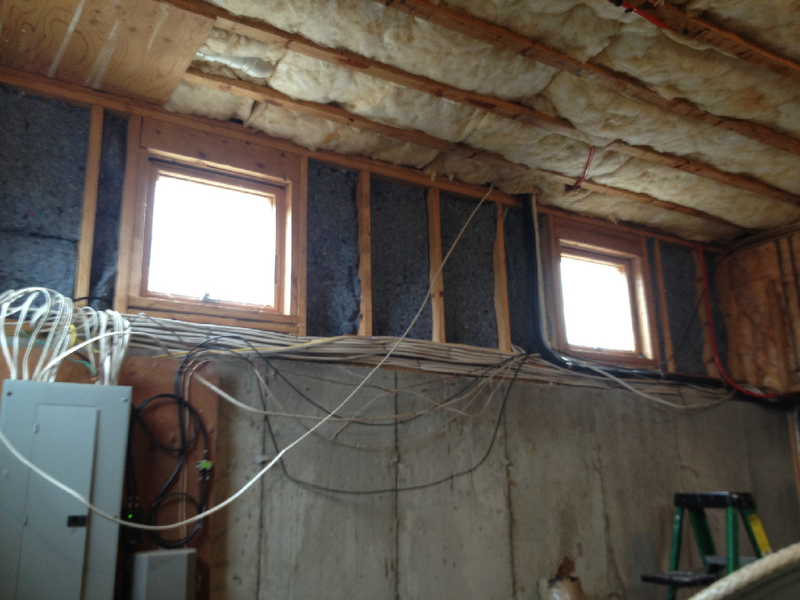 Open wall (no sheetrock) allowed us to install Quiet Insul, a highly effective sound and thermal insulator.